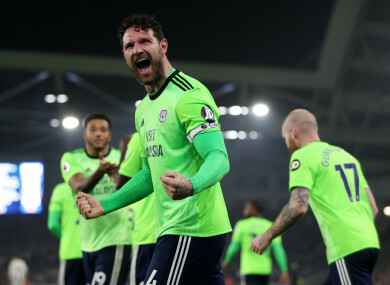 Cardiff City's Sean Morrison celebrates scoring. Email “Cardiff come out on top in Premier League relegation six-pointer”. Feedback on “Cardiff come out on top in Premier League relegation six-pointer”.